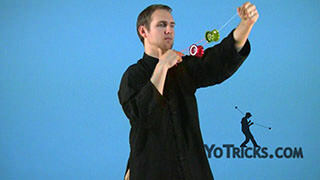 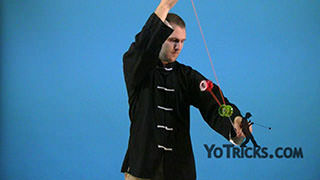 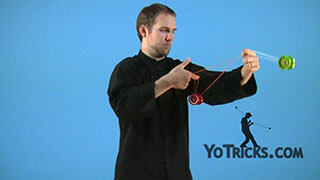 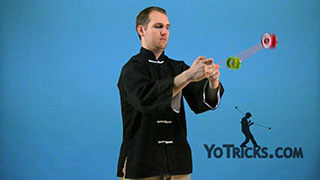 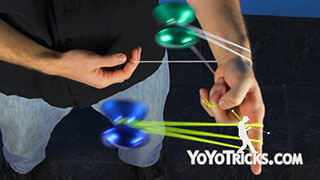 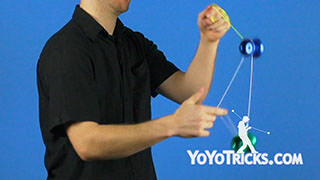 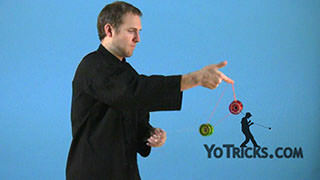 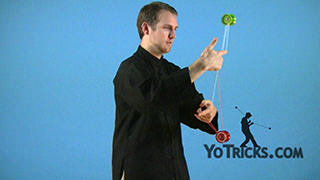 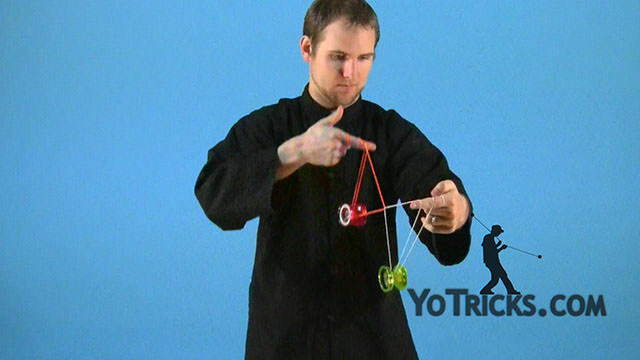 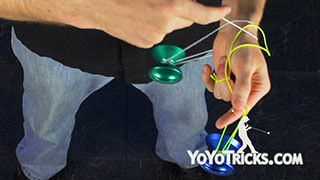 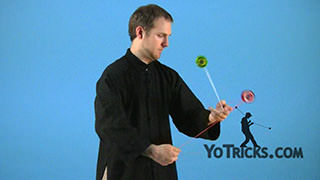 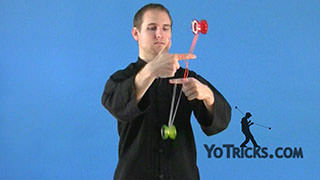 Learn the 3A Yoyo Trick Blue Line Rolls. 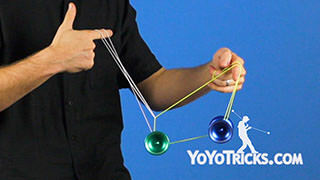 This trick is Blue Line Rolls, it looks like this. 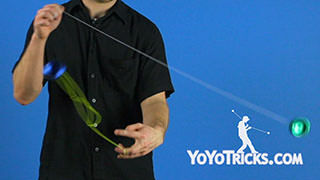 To do this trick you want to start by getting into your Blue Line Mount. 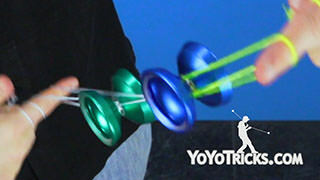 Get right into that mount, do that last flip forward. 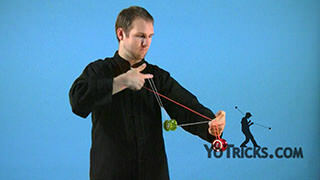 You are going to start by taking your dominant hand and lifting it into the string once. 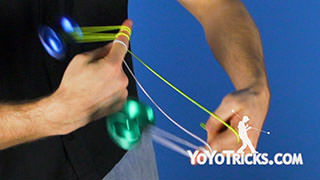 From here every time you are going to have both hands roll into the string. 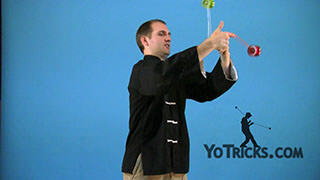 You can see there is kind of a fluid motion of forward and back that really helps with this trick. 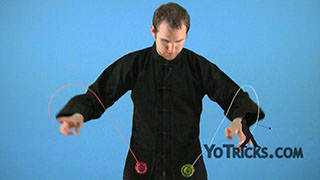 You want to end with your non-dominant hand forward, and do one extra roll with just your non-dominant hand. 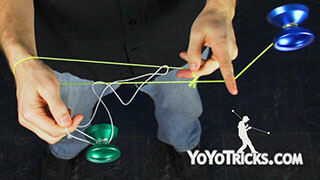 Then you can drop out, just like you would from a Blue Line Mount. 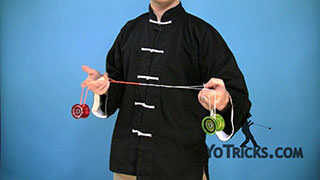 That’s the Blue Line Rolls.